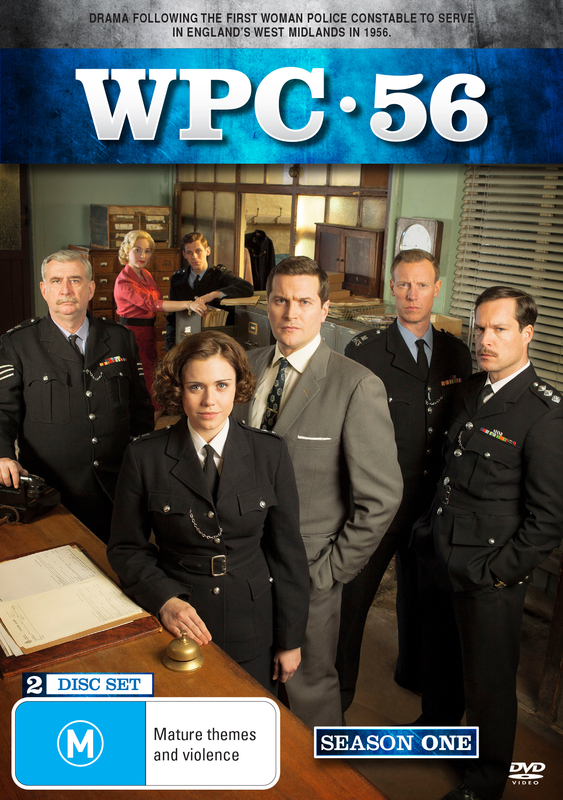 Set in Englands West Midlands in 1956, WPC 56 follows determined Gina Dawson (Jennie Jacques), the first woman police constable to serve in her hometown, as she struggles to gain acceptance in the male-dominated world of policing. Allocated a broom closet for her office without a phone in case she chats on it all day and ordered to make endless cups of tea 'so the men can get on with the real job of policing,' Ginas resolve is tested to the limits. Sometimes dismayed by the patronising sexism, bullying, corruption and racial prejudice that she encounters every day, Gina remains undaunted and sets out to prove her worth, make a difference and earn some respect.